Welcome to the lesson 2 ‘Continual Service Improvement Principles’ which is a part of the ITIL Intermediate CSI Certification Course. This chapter deals with details about the Principles of continual service improvement, covering the models used across the life cycle. Let us go ahead and learn more about Continual Service Improvement Principles. Let us go ahead and learn about Continual Service Improvement and Organizational Change. Planning to get ITIL Intermediate CSI Certified? Click to see our Course Preview! Service improvement must focus on increasing the efficiency, maximizing the effectiveness and optimizing the cost of services and the underlying ITSM processes. The only way to do this is to ensure that improvement opportunities are identified throughout the entire Service Lifecycle. Improving service management is to embark upon an organizational change program. Many organizational change programs fail to achieve the desired results. Successful ITSM requires understanding the way in which work is done and putting in place a program of change within the IT organization. This type of change is, by its very nature, prone to difficulties. It involves people and the way they work. People generally do not like to change; the benefits must be explained to everyone to gain their support and to ensure that they break out of old working practices. Those responsible for managing and steering organizational change should consciously address these softer issues. 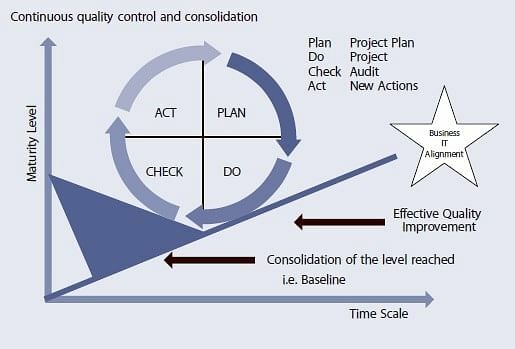 Using an approach such as John P. Kotter’s Eight Steps To Transforming Your Organization, coupled with formalized project management skills and practices, will significantly increase the chance of success. Kotter, Professor of Leadership at Harvard Business School, investigated more than 100 companies involved in, or having attempted a complex organizational change program and identified eight main reasons why transformation efforts fail. Organizational change and these eight steps are discussed in detail later in the publication. Let us now move on to our next section which explains the concept of Ownership in CSI. The principle of ownership is fundamental to any improvement strategy. CSI is a best practice and one of the keys to successful implementation is to ensure that a specific manager, a CSI manager, is responsible for ensuring the best practice is adopted and sustained throughout the organization. The CSI manager becomes the CSI owner and chief advocate. The CSI owner is accountable for the success of Continual Service Improvement in the organization. This ownership responsibility extends beyond ensuring the CSI practices are embedded in the organization but also to ensuring there are adequate resources (including people and technology) to support and enable CSI. Also included are ongoing CSI activities such as monitoring, analyzing, evaluating trends and reporting as well as project-based service improvement activities – activities that are fundamental to the ITIL framework. Without clear and unambiguous accountability there will be no improvement. Let us now move on to our next section which explains the concept of CSI Register. CSI Register is used to record all the improvement opportunities. What is the Duration or how quickly it can be achieved? What are the Benefits that will be achieved by its implementation? The CSI register contains important information and is part of the service knowledge management system (SKMS). Let us now move on to our next section which explains the concept of the Business Value of Service measurement. To intervene – monitoring and measuring to identify a point of intervention including subsequent changes and corrective actions. The next section explains the concept of Baselines. An important beginning point for highlighting improvement is to establish baselines as markers or starting point for later comparison. Baselines are also used to establish an initial data point to determine if a service or process needs to be improved. As a result, it is important that baselines are documented, recognized and accepted throughout the organization. Baselines must be established at each level: strategic goals and objectives, tactical process maturity, and operational metrics and KPIs. The next section explains the concept of Knowledge Management. Knowledge Management plays a key role in CSI. Within each service Lifecycle phase, data should be captured to enable knowledge gain and an understanding of what is actually happening, thus enabling wisdom. This is often referred to as the DIKW (Data, Information, Knowledge, and Wisdom) model. All too often an organization will capture the appropriate data but fail to process the data into information, synthesize the information into knowledge and then combine that knowledge with others to bring us wisdom. Wisdom will lead us to better decisions about improvement. This applies both when looking at the IT services themselves and when drilling down into each individual IT process. Knowledge Management is a mainstay of any improvement process. Following is a pictorial representation of the DIKW (Data, Information, Knowledge, and Wisdom) model. Let us now move on to our next section to discuss the concept of seven step improvement process. Where do you actually find the information? You will Talk to the business, the customers and to IT management. Utilize the service catalog as your starting point as well as the service level requirements of the different customers. This is the place where you start with the end in mind. In a perfect world, what should you measure? What is important to the business? Compile a list of what you should measure. This will often be driven by business requirements. Don’t try to cover every single eventuality or possible metric in the world. Make it simple. The number of what you should measure can grow quite rapidly. So too can the number of metrics and measurements. Every organization may find that they have limitations on what can actually be measured. If you cannot measure something then it should not appear in an SLA. What do you actually measure? Start by listing the tools you currently have in place. These tools will include service management tools, monitoring tools, reporting tools, investigation tools and others. Compile a list of what each tool can currently measure without any configuration or customization. Now the concern is Where will you find the information? The answer is: The information is found in each process, procedure and work instruction. The tools are merely a way to collect and provide the data. Look at existing reports and databases. And Perform a gap analysis between the two lists. Report this information back to the business, the customers, and IT management. It is possible that new tools are required or that configuration or customization is required to be able to measure what is required. Gathering data requires having some form of monitoring in place. Monitoring could be executed using technology such as application, system and component monitoring tools or even be a manual process for certain tasks. You gather whatever data has been identified as both needed and measurable. Please remember that not all data is gathered automatically. A lot of data is entered manually by people. 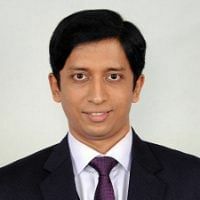 It is important to ensure that policies are in place to drive the right behavior to ensure that this manual data entry follows the SMART (Specific-Measurable-Achievable-Relevant-Timely) principle. As much as possible, you need to standardize the data structure through policies and published standards. For example, how do you enter names in your tools – John Smith; Smith, John or J. Smith? These can be the same or different individuals. Having three different ways of entering the same name would slow downtrend analysis and will severely impede any CSI initiative. What do you actually do here? Convert the data to the required format and for the required audience. Follow the trail from metric to KPI to CSF, all the way back to the vision if necessary Once data is gathered, the next step is to process the data into the required format. Report-generating technologies are typically used at this stage as various amounts of data are condensed into information for use in the analysis activity. The data is also typically put into a format that provides an end-to-end perspective on the overall performance of a service. This activity begins the transformation of raw data into packaged information. Use the information to develop insight into the performance of the service and/or processes. Process the data into information (i.e. Create logical groupings) which provides a better means to analyze the data – the next action step in CSI. Processing the data is an important CSI activity that is often overlooked. 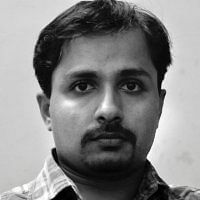 While monitoring and collecting data on a single infrastructure component is important, it is also important to understand that component’s impact on the larger infrastructure and IT service. Knowing that a server was up 99.99% of the time is one thing, knowing that no one could access the server is another. An example of processing the data is taking the data from monitoring of the individual components such as the mainframe, applications, WAN, LAN, servers etc. And process this into a structure of an end-to-end service from the customer’s perspective. 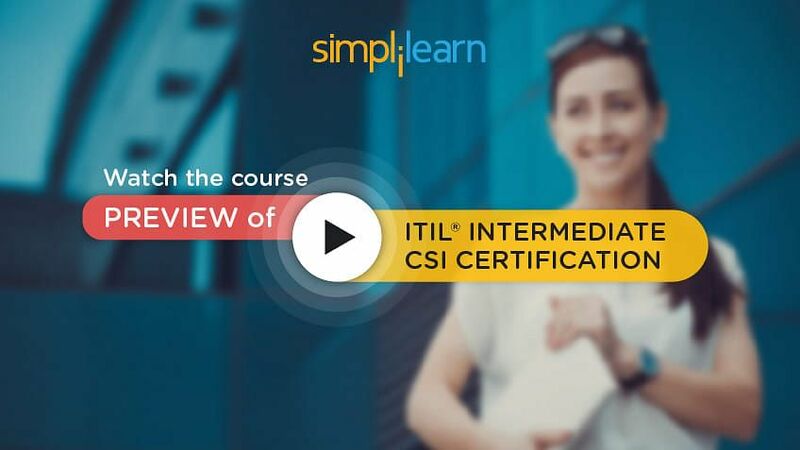 You can check the Course Preview of ITIL Intermediate CSI here! You don’t know if the call reduction is because you have reduced the number of recurring errors in the infrastructure by good problem management activities or if the customers feel that the Service Desk doesn’t provide any value and they have started bypassing the Service Desk and going directly to second-level support groups. Data analysis transforms the information into knowledge of the events that are affecting the organization. More skill and experience is required to perform data analysis than data gathering and processing. Verification against goals and objectives is expected during this activity. This verification validates that objectives are being supported and value is being added. It is not sufficient to simply produce graphs of various types but to document the observations and conclusions. What do you actually analyze? Are there any clear trends? Are they positive or negative trends? Are we operating according to plan? Are there underlying structural problems? What is the cost of the service gap? Now the question is where to find the information? And the Answer is: Here you apply knowledge to your information. Without this, you have nothing more than sets of numbers showing metrics that are meaningless. It is not enough to simply look at this month’s figures and accept them without question, even if they meet SLA targets. You should analyze the figures to stay ahead of the game. Without analysis you merely have information. With analysis you have knowledge. If you find anomalies or poor results, then look for ways to improve. The sixth step is to take our knowledge and present it, that is, turn it into wisdom by utilizing reports, monitors, action plans, reviews, evaluations, and opportunities. Consider the target audience; make sure that you identify exceptions to the service, benefits that have been revealed, or can be expected. Data gathering occurs at the operational level of an organization. Format this data into knowledge that all levels can appreciate and gain insight into their needs and expectations. So the question is what to measure? And the Answer is: There are no measurements in this step. And where do you actually find the information? This stage involves presenting the information in a format that is understandable, at the right level, provides value, notes exceptions to service, identifies the benefits that were revealed during the time period, and allows those receiving the information to make strategic, tactical and operational decisions. In other words, presenting the information in the manner that makes it the most useful for the target audience. Use the knowledge gained to optimize, improve and correct services. Managers need to identify issues and present solutions. Explain how the corrective actions to be taken will improve the service. If organizations were implementing corrective action according to CSI, there would be no need for this publication. Corrective action is often done in reaction to a single event that caused a (severe) outage to part or all of the organization. Other times, the squeaky wheel will get noticed and specific corrective action will be implemented in no relation to the priorities of the organization, thus taking valuable resources away from real emergencies. This is common practice but obviously not best practice. 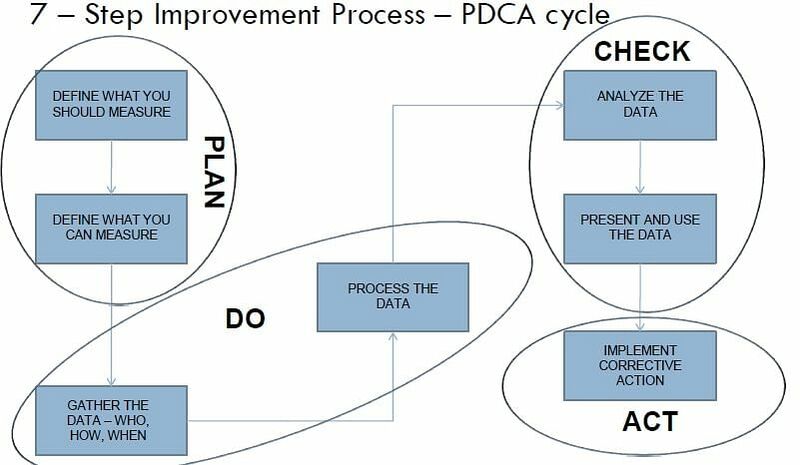 The next section explains the seven steps integrated with PDCA cycle. step 2 Define what you will measure. Step 4- Process the data of 7 step improvement process. The same concept in pictorial format is shown below. The next section explains the concept of Governance. Governance has been around the IT arena for decades. The mainframe had significant controls built around its day-to-day operations. With the advent of distributed processing in the early 90s, then n-tier processing, the internet, and increasing Virtualization, governance and controls simply went out of fashion; just when they were the most desperately needed. With the exposure of high-level corporate fraud in the early years of this century, IT was thrust, without warning, into a completely unfamiliar game with incredibly high stakes. Governance is back with a vengeance. IT is now forced to comply with sweeping legislation and an ever-increasing number of external regulations. External auditors are commonplace in large IT shops. IT can no longer mask their operations behind a veil of secrecy or a cloud of obfuscation but rather they must run an organization which prides itself on its transparency. Let us now move on to our next section which explains the concept of IT Governance. IT governance is part of an organization’s corporate governance. Governance is important for all organizations and will provide an environment within which CSI can operate and thrive IT must comply with new legislation and an ever-increasing number of external regulations due to potential business fraud. 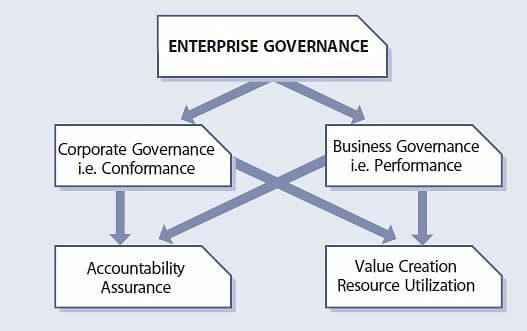 CIMA –The Chartered Institute of Management Accountants has a framework for enterprise governance as shown in the below figure, which covers the corporate governance and the business management aspects of the organization. You too can join the high earners’ club. Enroll in our ITIL Intermediate CSI Course and earn more today. An effective CSI practice will be integrated within all phases of the service lifecycle. The greatest value to the business and IT will be realized by having a continuous monitoring and feedback loop as the service and ITSM processes move through the service lifecycle. Look for improvement opportunities within service strategy, service design, service transition & service operations. Imperative that the concept of continual improvement integrated into the day-to-day fabric of the organization. The next lesson talks about Continual Service Improvement Processes.